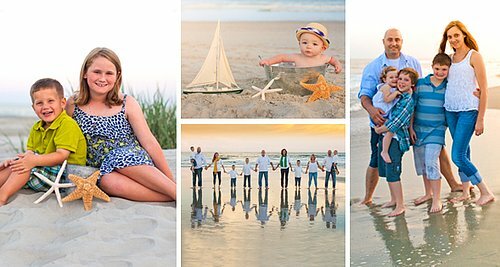 Julie is a North Myrtle Beach photographer, specializing in family beach portraits. 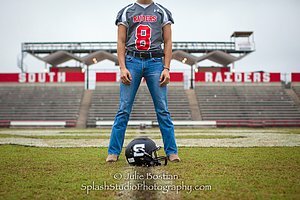 Splash Studio offers on-location photography services in the North Myrtle Beach area of SC, and prefers natural light settings. Want your family memories captured on the beach to remember your vacation? Family beach portraits are my specialty. View Families, Kids (individual), Kids (groups), and Couples galleries. Read what makes Splash Studio different, rates, tips, how to book an appt., and more info. Where do you want your portraits taken? The beach, the family farm, a historic building, a park, the river front, a field of flowers? You name it. Graduating from high school soon? Splash Studio offers lifestyle photos to capture your personality. View the Teens/Seniors gallery. Specializing in vacation rental (interiors / exteriors) and general sales photography. Professional photos generate more rentals and sales. Maternity, newborn, infant, toddlers, etc. View the Maternity gallery. View baby portraits in color. View baby portraits in black & white. Julie is the life behind the lens at Splash Studio Photography. She's passionate about capturing moments and memories with her cameras. To view a complete portfolio of her work view the many albums in the Gallery menu. Julie is active in the North Myrtle Beach Sea Turtle Patrol and has had the privilege, of while on the beach, to photograph baby sea turtle hatchlings as they make their way to the ocean, as well as in the ocean, while scuba diving with swimming sea turtles. View the Sea Turtle photo gallery. In keeping with the water sports theme, kayaking is another passion of Julie's. View the Kayaking photo gallery.